When I attend Quilt Market, I always look forward to seeing what creative fabric lines Cotton & Steel has devised. The designers are also masters of booth presentation, which makes it all the more fun! S.S. Bluebird was this season's collaborative collection that has a nautical feel in denim blues with a touch of cream and red. Melody Miller's Jubilee captures the essence of a summer block party and features party dresses, watercolor balloons, make-up, an ombre wash, and touches of neon and metallic. Sleep Tight by Sarah Watts is the gender neutral collection young mothers will truly long for. It includes a large panel print that is perfect for a quick baby quilt. And those hedgehogs, oh my heart! 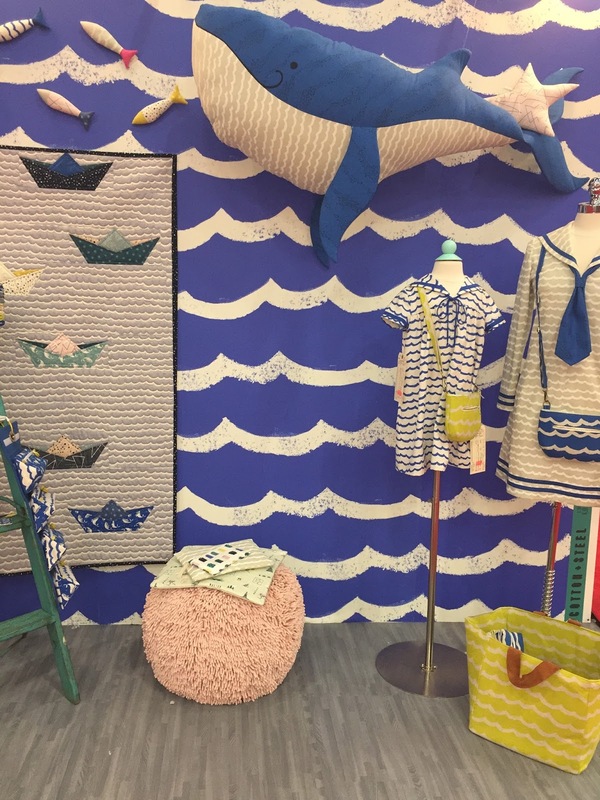 Anna Bond of Rifle Paper Company's latest line for C+S is Wonderland. I definitely have a project in the works for this collection. 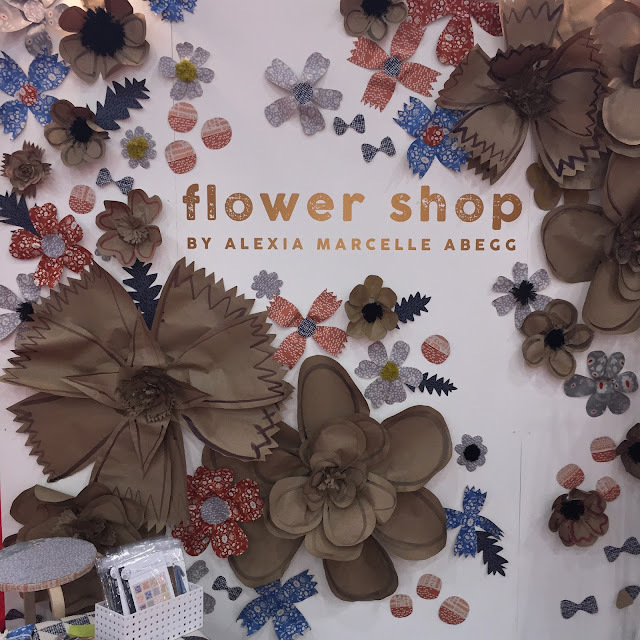 Flower Shop by Alexia Marcela Abegg takes its inspiration from a Mexican flower market. Hand painting, stamping and drawing make the collection particularly enticing. Kujira & Star by Rashida Coleman Hale tells the tale of a baby whale and a starfish. A folded shirt print makes an appearance in the collection too, just for the ironic fun of it. 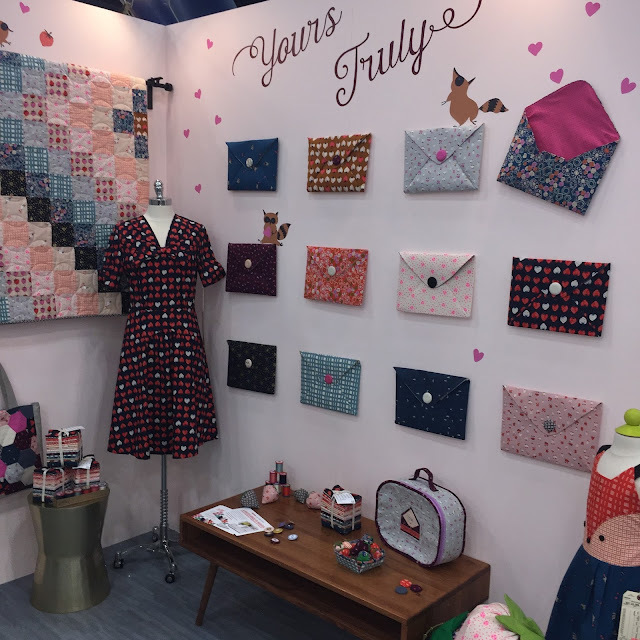 Yours Truly by Kimberly Night has vintage charm with prints modeled after retro aprons and dresses. Quicker By The Dozen is a block of the month available in C+S prints that was highlighted in the booth. THere's no one who can put it better that the women of C+S themselves, so I'll let them take it away. 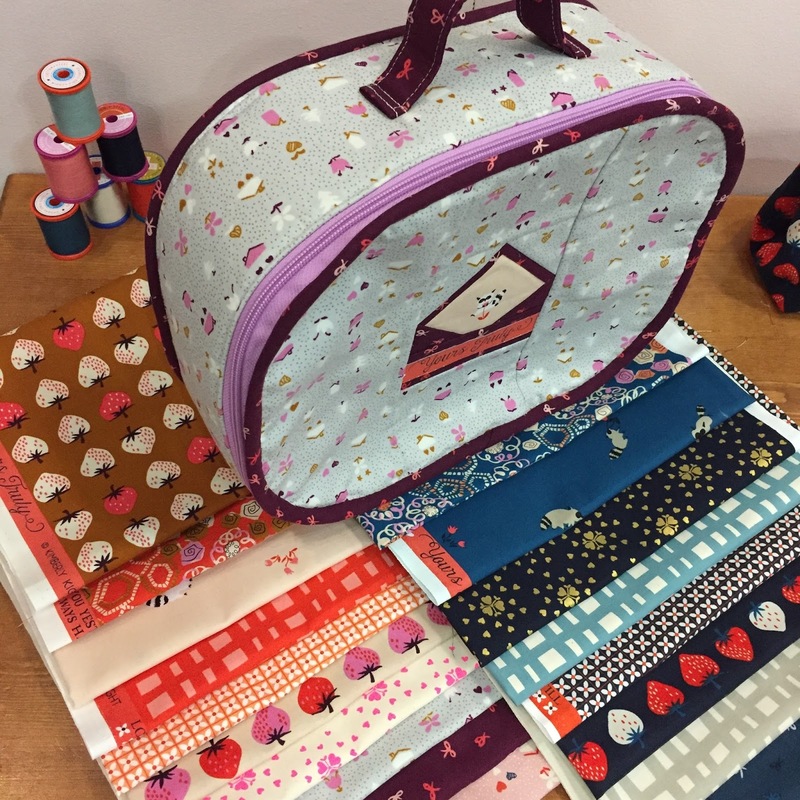 Not only are the ladies of C+S creating wonderful fabrics with hedgehogs, whales, unicorns, strawberries, and anything else your heart could desire, they also have their very own collection of thread with Sulky and two special edition Bernina sewing machines. Because I greatly appreciate all of you who come by, read my posts, and are kind enough to follow my blog and other social media, I'm offering up a splendid C+S giveaway. 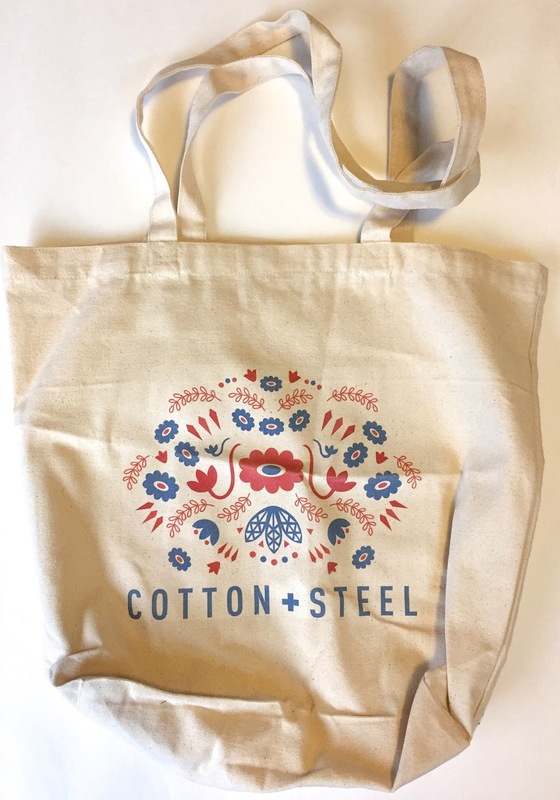 One lucky winner will receive a big bundle of generously cut selvages, five spools of not-yet-available C+S Sulky threads, a button, and a logo-emblazoned tote bag. Just use the Rafflecopter widget to get in the running. I remember seeing months and months ago about the Cotton + Steel thread! They always have a fun filled booth and I'm thirlled that you shared it with us! 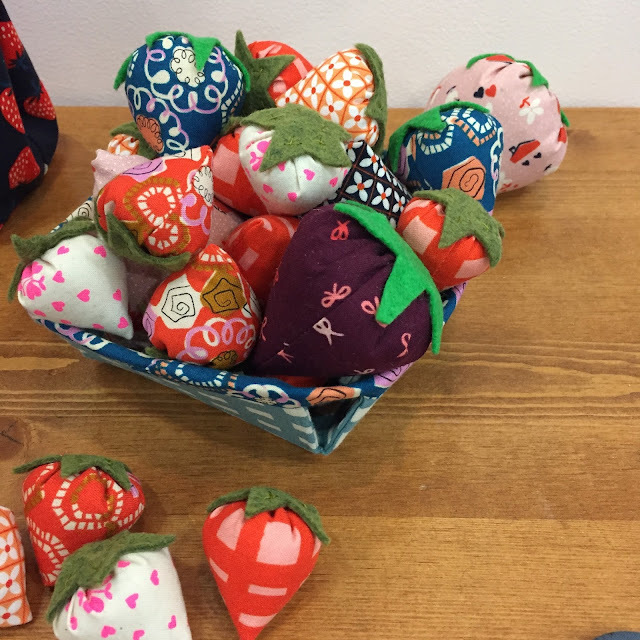 Thanks for sharing these fabrics. I love all those blues. Thanks for all the beautiful eye candy!